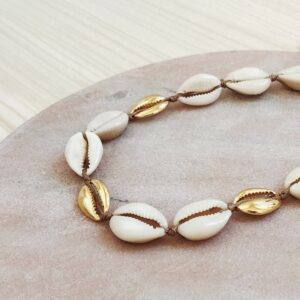 NECKLACES Archives - twininas | Unique Handmade Jewellery & Accessories! 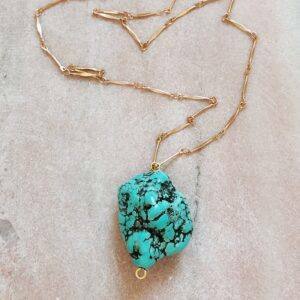 A summer piece made of gold plated brass this necklace is strung with a big turquoise howlite gemstone to enhance a casual look to a fashion statement. 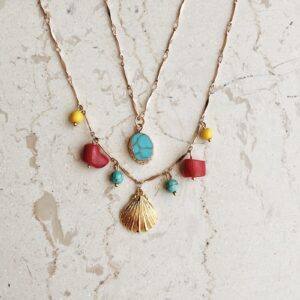 Solana necklace set is a layered piece inspired by the treasures of sea and earth. 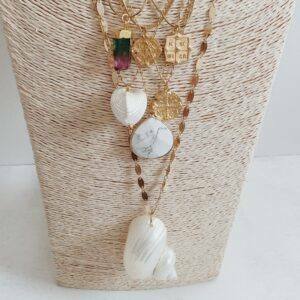 Made of gold plated brass this set is strung with howlite and coral gemstones and centered with a gold shell shaped pendant. 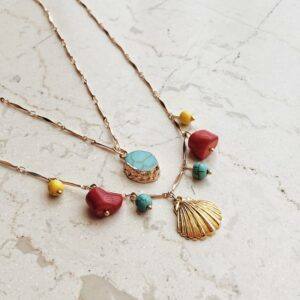 Wear as part of a beachy, bohemian outfit. Choose your preference from scrolling menu. 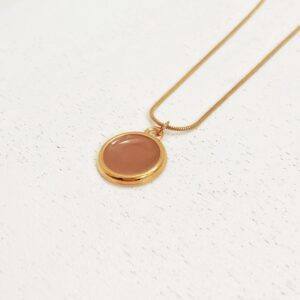 Wear it as a set or each necklace alone. Αυτό το ιδιαίτερο κολιέ είναι φτιαγμένο με περίτεχνη αλυσίδα από επίχρυσο ατσάλι που είναι στολισμένη με κρεμαστό μενταγιόν κοχύλι από επίχρυσο ορείχαλκο. Μήκος αλυσίδας 45 εκ. 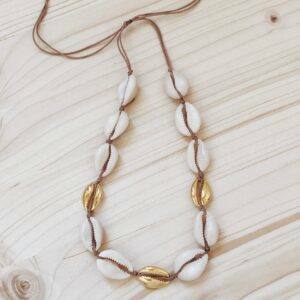 This chunky Twininas necklace is made of gold plated chain strung with natural shells, mother of pearl, gold plated shell shaped charms and centered with a big white coral gemstone. Showcase yours with plunging necklines. 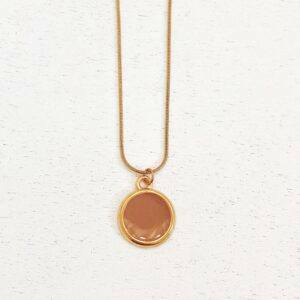 This necklace is strung with a round enameled pendant made of gold plated brass 24k and gold plated steel chain. 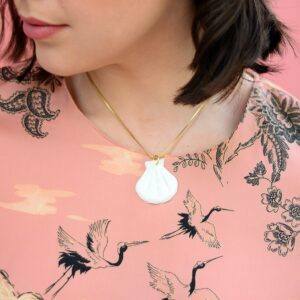 We love it over T-shirts or plunging necklines. 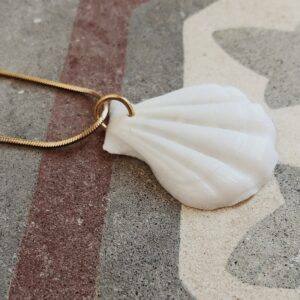 Isabella necklace is cast from gold plated brass and adorned with a big natural shell with gold plated details. 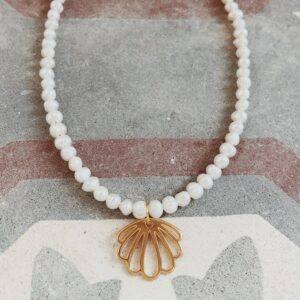 Regina necklace is strung with lustrous pearls and a gold shell shaped pendant in the middle. 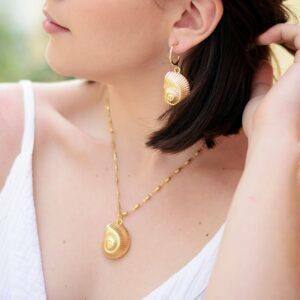 Wear yours with a plunging neckline. 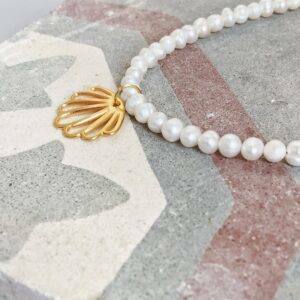 Margarita necklace is strung with lustrous pearls, mother of pearl gemstones and a big round pearl in the middle. 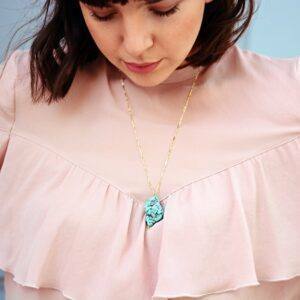 Wear yours with a plunging neckline. Κολιέ με ημιπολύτιμη πέτρα από λευκό χαολίτη και μεταλλική αλυσίδα από επίχρυσο ατσάλι.